The Chairman of my Board added another unpaid job to his resume. 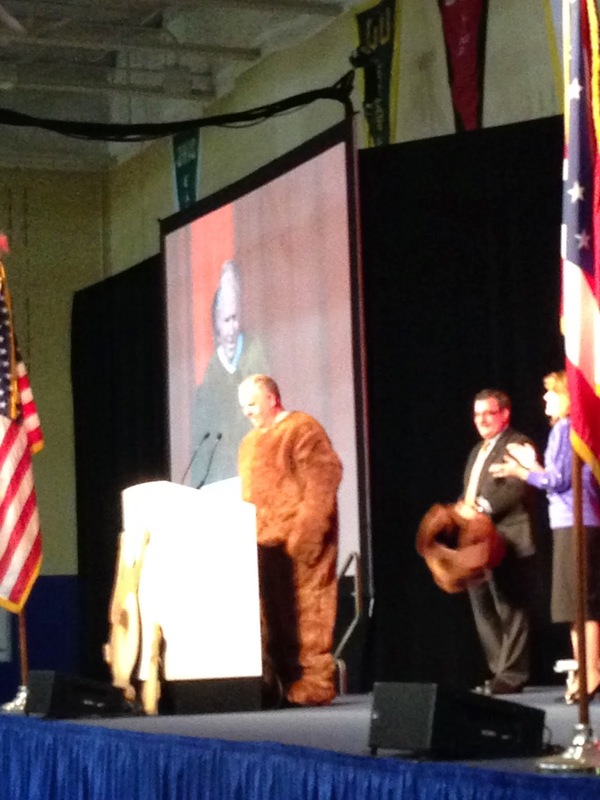 Steve Layman humbly donned a Groundhog mascot-like costume in front of 700 people and confessed his affection for his chosen home county--Licking County. I thought I had it figured out he was the disguised creature this year, but he threw me for a loop with some deft acting skills. I wasn't alone in being fooled. Great job, Steve. He's a prolific blogger too with a balance of commercial real estate, history, and culture. 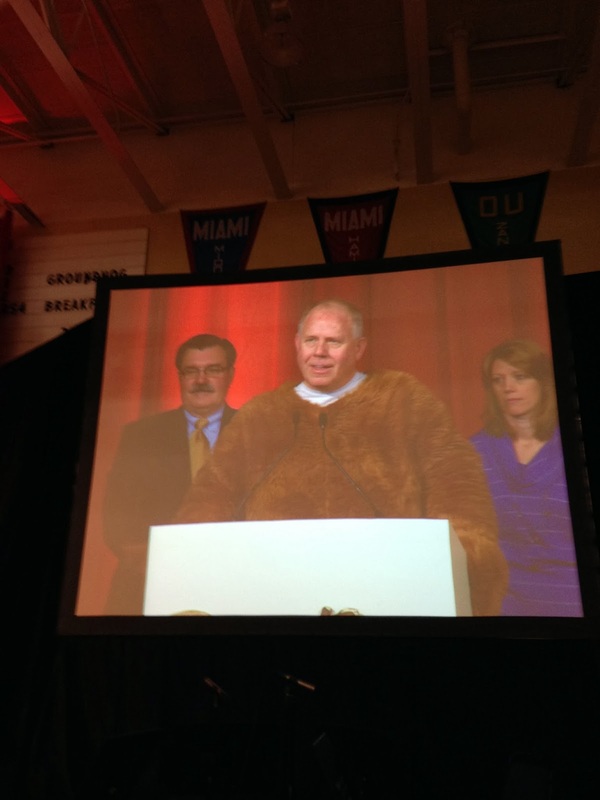 See Anderson Layman's Blog.